Wits Student Representative Council has partnered with Mobile Channel to raise funds to pay student fees. 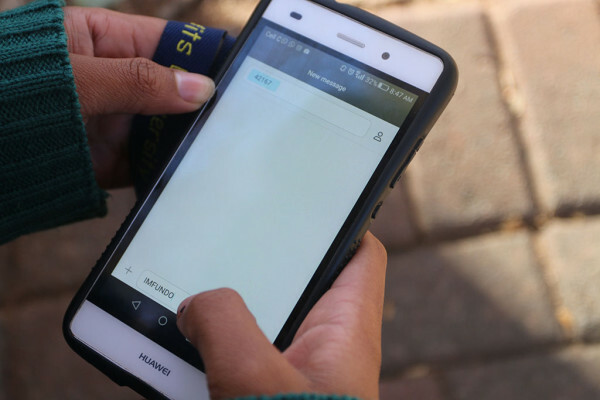 The Wits Student Representative Council has partnered with Channel Mobile to launch an SMS campaign called #Imfundo to help disadvantaged students pay their fees. The #Imfundo campaign was started by the SRC in January this year after many disadvantaged students failed to secure financial aid from sources like NSFAS. The campaign was expected to be fully functional at the beginning of the academic year, but was delayed due to legal concerns. The campaign intends to raise funds through an SMS system where members of the public will be able to donate R30 per SMS. The money raised will go to the Wits Humanitarian Fund which is overseen by the office of the Wits vice-chancellor, Prof Adam Habib. The fund will aid students struggling with historical debt. SRC Social, Community Development and Fundraising Officer, Lindokuhle Ntumba, says that the SRC has been experiencing a great deal of donor fatigue and therefore they have had to be more strategic about their fundraising methods. The campaign is expected to run for three months, from May to August, because of the contract that the university has with Channel Mobile as the service provider. The SMS line (42167) has officially started while the actual launch of the campaign will take place on May, 30.